Boston DUI Watch: Drunk Driver Up a Tree! Police in Braintree are looking to press charges against a 43-year-old Dorchester man. His problems started last week when officers say they watched him drive up a tree shortly after 1 a.m. Police were reportedly traveling behind the intoxicated driver when he swerved his vehicle off of the road and right into a tree. The collision was so severe that it seriously damaged his car, made the airbags deploy and sent the car up in smoke, according to the Boston Globe. Police were able to get the man out of the vehicle. He was sent to the South Shore Hospital to be treated for injuries. While he was at the hospital, officers investigated and have charged the motorist with being under the influence of alcohol. He will be summonsed to court on charges of failing to keep within marked lanes as well as operating under the influence of alcohol. 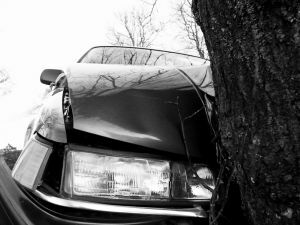 Our Braintree car accident lawyers understand that drunk drivers have a bad habit of getting really drunk! According to a recent release from the National Highway Traffic Safety Administration (NHTSA), in about 70 percent of fatal alcohol-impaired car accidents at least one person returns a blood alcohol concentration (BAC) reading of .15 or higher. In 2010, the average BAC among all drivers was a shocking .18. It’s such a serious problem that a person is killed in one of these crashes every 51 minutes. Young drivers are most at risk. Drivers who were between the ages of 21- and 24-years-old had the highest percentage of drivers who were legally drunk. Believe it or not, motorcyclists had the highest percentage of alcohol-impaired drivers involved in deadly accidents. You’ve got to be careful when driving at night, too. That’s when more drunk drivers tend to be on our roadways. As a matter of fact, the fatal crash rate was four times higher during the nighttime than it was during the daytime in 2010. During the week, only about 15 percent of drivers involved in fatal car accidents were under the influence of alcohol. In comparison, more than 30 percent of drivers who were involved in deadly accidents were under the influence of alcohol over the weekends. The drivers who had a BAC of .08 or higher and were involved in a fatal accident were about 4 times more likely to have already have a DWI conviction rather than those with no alcohol in their system. The thing about each and every one of these accidents is that they were completely preventable. There are too many alternative ways to get home. If you’ve been drinking and you don’t have a sober driver, you can call a cab, take the bus, ride the T, call a friend or a family member or even stay somewhere safe.